OXFORD, Miss. 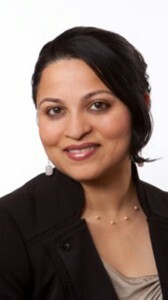 – The William Winter Institute for Racial Reconciliation is hosting a lunch event, keynote address and book-signing at the University of Mississippi by internationally known activist, writer, lawyer and scholar Deepa Iyer. Iyer plans to discuss the need for creating more welcoming and equitable communities in the United States during her keynote address, “Imagining Justice in Today’s Racial Climate.” The lecture at 4:30 p.m. Thursday (March 31) in Lamar Hall, Room 130, will be followed by a book-signing. Both are free and open to the public. Iyer is dedicated to advancing intersectional and community-based racial justice issues in this country. She served as the executive director of South Asian Americans Leading Together for many years, working closely with national leaders on racism and discrimination issues. As senior fellow at the Center for Social Inclusion, Iyer is committed to helping government, communities and institutions end racial inequality to create unprejudiced outcomes. The public also is invited to discuss the introduction of Iyer’s book, “We Too Sing America,“ at a Lunch and Learn with Deepa Iyer event at noon Thursday (March 31) at the Winter Institute, in Suite A on the third floor of Lamar Hall. Participants are asked to read the chapter beforehand. Lunch will be served. For more information on these events and upcoming activities hosted by the Winter Institute, visit http://winterinstitute.org/ or follow @WmWinterInst on Twitter.